Dark Souls 3 will continue the punishingly-difficult hit franchise in early 2016, as announced during Microsoft's E3 2015 presentation. The tagline, "Only Embers Remain" accompanied a new trailer that showed a rendered (as in, not gameplay) look at the game's world. The trailer sets the stage with a look at a desolate world, and some terrifying-looking possible new enemies, including the massive beast you see in the still above. Check out the trailer here, and buy your tissues for your rage tears now. And be sure to check back in with ComicBookc.com as more Dark Souls 3 news develops. 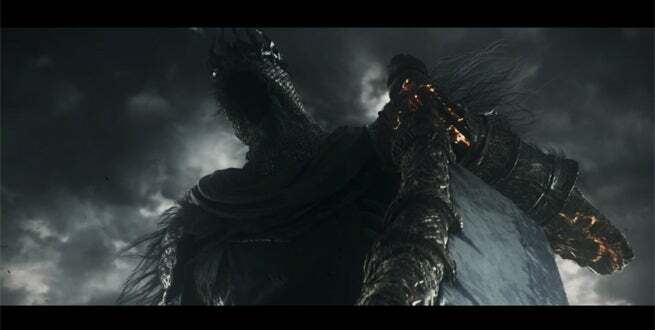 What did you think of the Dark Souls 3 trailer? Let us know in the comments!